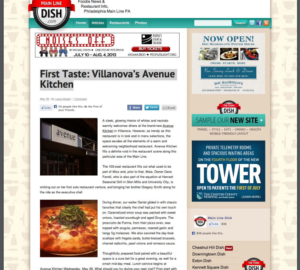 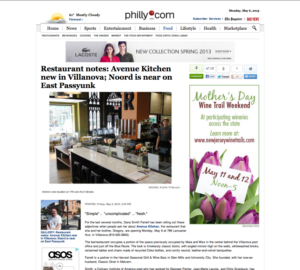 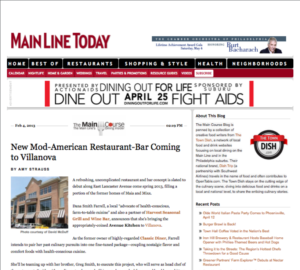 Publication: mainlinedish.com A sleek, glowing interior of whites and neutrals warmly welcomes diners at the brand-new Avenue Kitchen in Villanova. 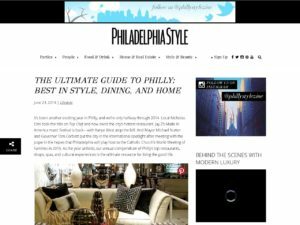 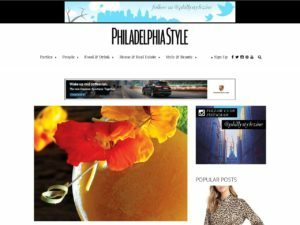 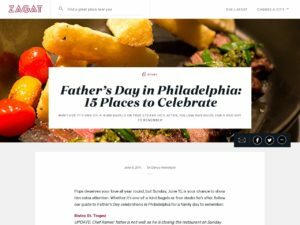 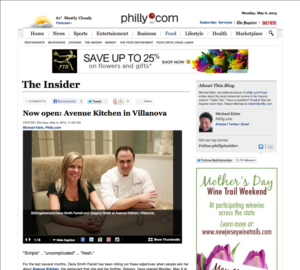 Publication: Philly.com Uncomplicated American cooking, with a few bells and whistles, in a classic bistro setting in Villanova. 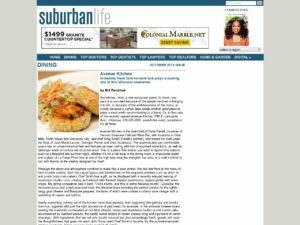 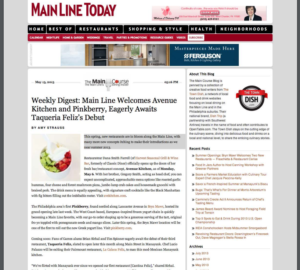 Publication: MainLineToday.com This spring, new restaurants are in bloom along the Main Line, with many more new concepts itching to make their introductions as we near summer 2013. 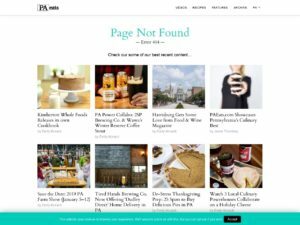 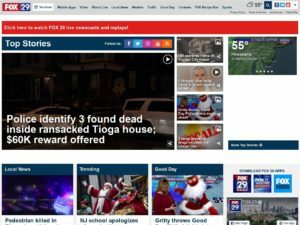 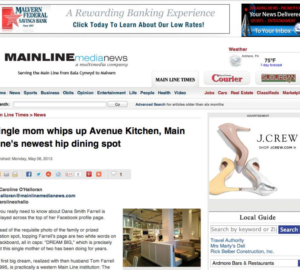 Publication: MAINLINEmedianews.com All you really need to know about Dana Smith Farrell is displayed across the top of her Facebook profile page. 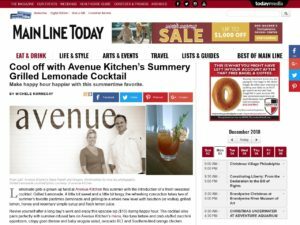 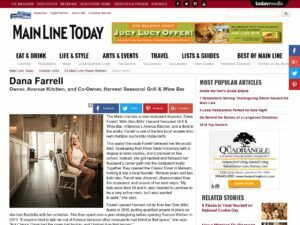 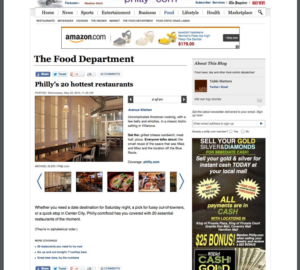 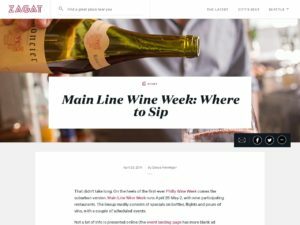 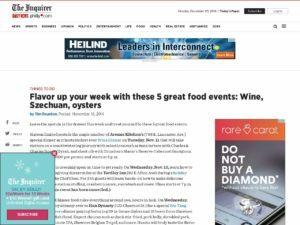 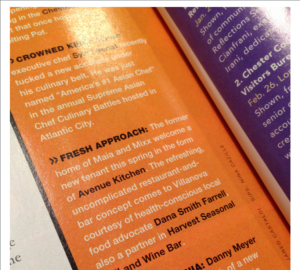 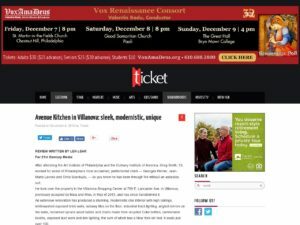 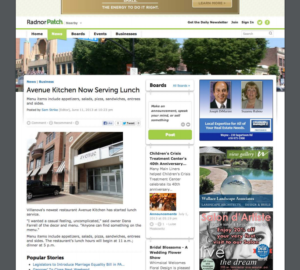 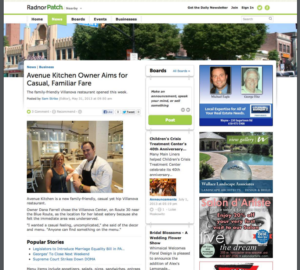 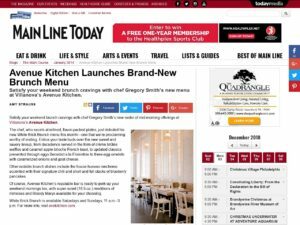 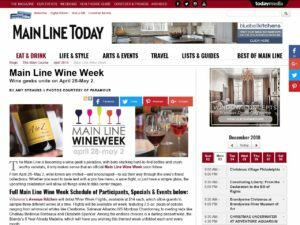 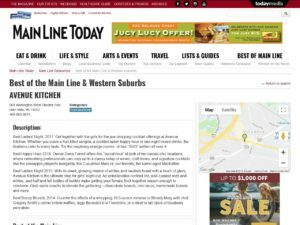 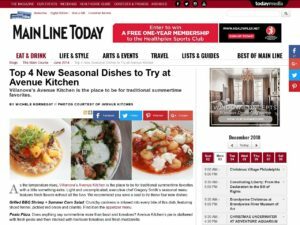 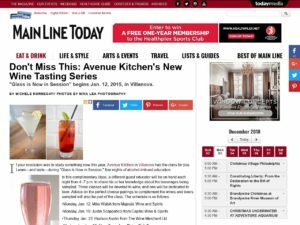 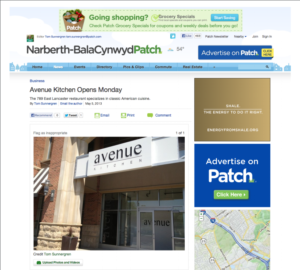 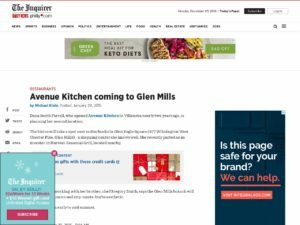 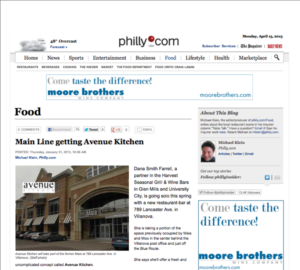 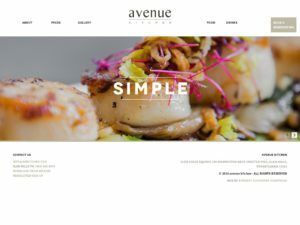 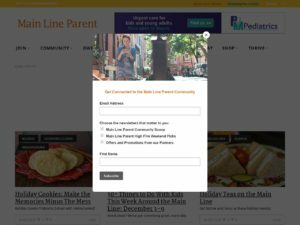 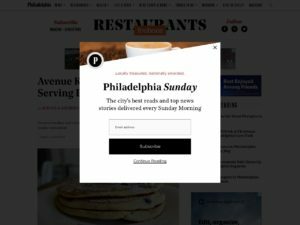 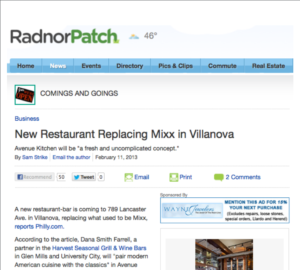 Publication: MainLineToday.com The former home of Maia and Mixx welcome a new tenant this spring in the form of Avenue Kitchen.